Baked white onion with tamari, ginger, lime and sesame. 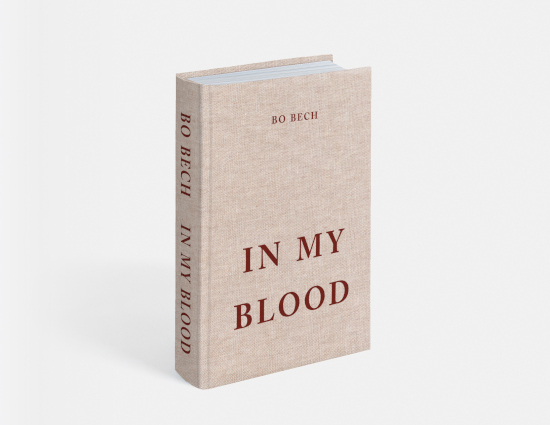 'In My Blood' by Bo Bech is available from www.chefbobech.com. Watercolour painting from 'In My Blood'. 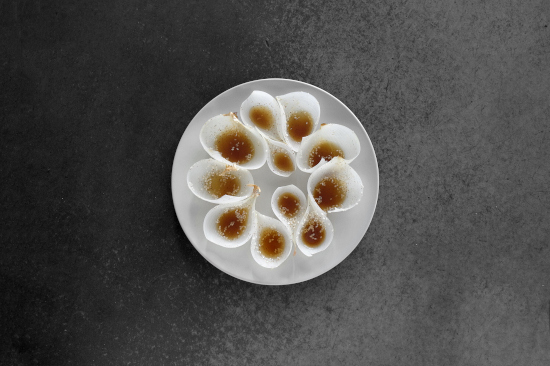 Having worked at renowned restaurants all over Europe and with cuisines taking him around the globe, Amager-born Bo Bech became a celebrated face of the esteemed Danish culinary scene through a stint as a TV chef and with an award-winning restaurant of his own. Then he went from ten covers to more than 150, and today, he is all about honest transactions. Scan Magazine spoke to the legendary Dane about passion, dogma, and finding your groove. It seems apt that the man whose journey to the top of the Nordic food scene started with a book, would go on to give back to the world of inspiring cookbooks. 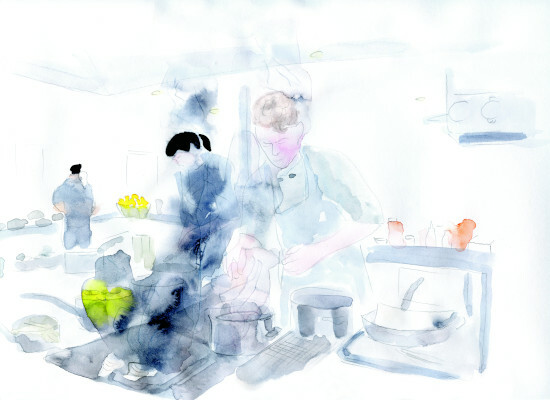 Following on from the critically acclaimed What Does Memory Taste Like?, his book about the food and journey of Paustian, Bech last year published In My Blood, a beautifully illustrated, unusually artistic literary depiction of the journey from an idea to the flourishing food establishment GEIST. Featuring everything from personal reflections and recipes to watercolour paintings and early sketches of what would eventually become the interiors of GEIST, it gives foodies and entrepreneurs a fascinating insight into the driving forces and motivating factors behind success and happiness, divided into chapters called The Rage, The Tribute and so on.